Safeguarding is at the heart of everything the ACF does. “It’s the behaviours and actions we would expect of our adult volunteers in terms of looking after young people,” says Dr Richard Crawford, who manages Policy issues across the Army’s Cadet Forces. The UK Government defines ‘safeguarding children’ as: ‘The process of protecting children from abuse or neglect, preventing impairment of their health and development, and ensuring they are growing up in circumstances consistent with the provision of safe and effective care that enables children to have optimum life chances and enter adulthood successfully. On the one hand, safeguarding can mean simply making sure adults are using appropriate language around cadets. “At the other end of the spectrum, it’s being that trusted person that a cadet feels they can come and speak to if something’s wrong,” Richard says. As an absolute minimum, all Cadet Force Adult Volunteers (CFAVs) are subject to the mandatory disclosure checks that all adults volunteering with children must undergo across the UK. “That ensures there’s nothing about that person that would cause us concern,” Richard says. Then there’s the training: all ACF induction training contains an element about safeguarding. “We have deliberately structured a package of training to introduce a complete outsider to safeguarding,” says Richard, who describes the training as ‘comprehensive’, but explains that it is broken down into manageable chunks delivered across all elements of the induction. Safeguarding training doesn’t end there. The annual refresher training, which is updated each year on 1 April, is compulsory for all volunteers. It keeps safeguarding at the forefront of volunteers’ minds and allows the ACF to address particular issues or trends. “For example, in the past year we’ve had an emphasis on recognising signs of sexual abuse. In previous years we’ve looked at legal highs,” says Richard. 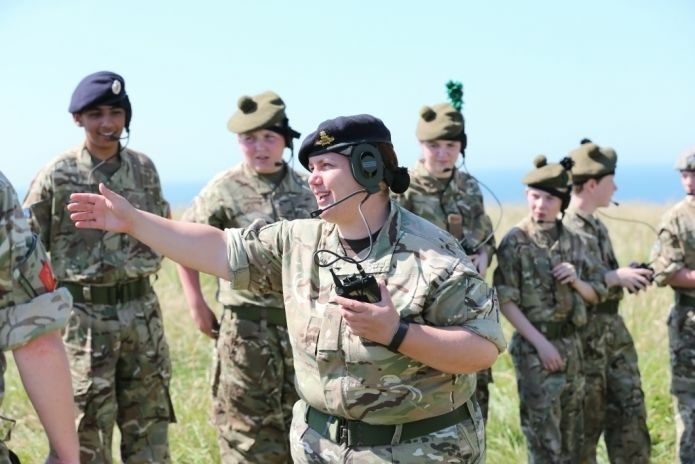 The refresher training is updated each year in time for the camp season, as this is when adults and cadets will spend the most time together, and when cadets might feel most comfortable voicing any problems they’re having. This year (2017) the annual refresher is aligned to the Home Office’s Disrespect NoBody campaign which focuses on helping young people to understand what healthy relationships are and to recognise the signs of relationship abuse. This campaign and the NSPCC's Childline website provide valuable information to help young people recognise different types of abuse. If you have any concerns about the safeguarding of young people within the ACF you can contact the Cadet Executive Officer (CEO) using the contact details for your local ACF Headquarters which are available online*. You can read more about our child protection policy, as well as how we undertake DBS checks for all of our volunteers. Click on the link to go to the county website to find contact details for the county HQ.